Sporty Bra in mesh with flower applications and golden pink metal details. Sporty Bra in mesh with flower applications and golden pink metal details. 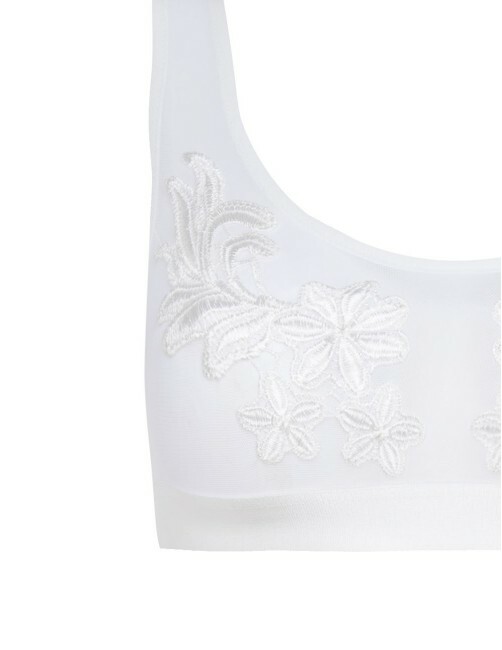 A comfortable and high quality luxury bra perfect for see-through looks. • Underbreast band in comfortable and soft elastic. 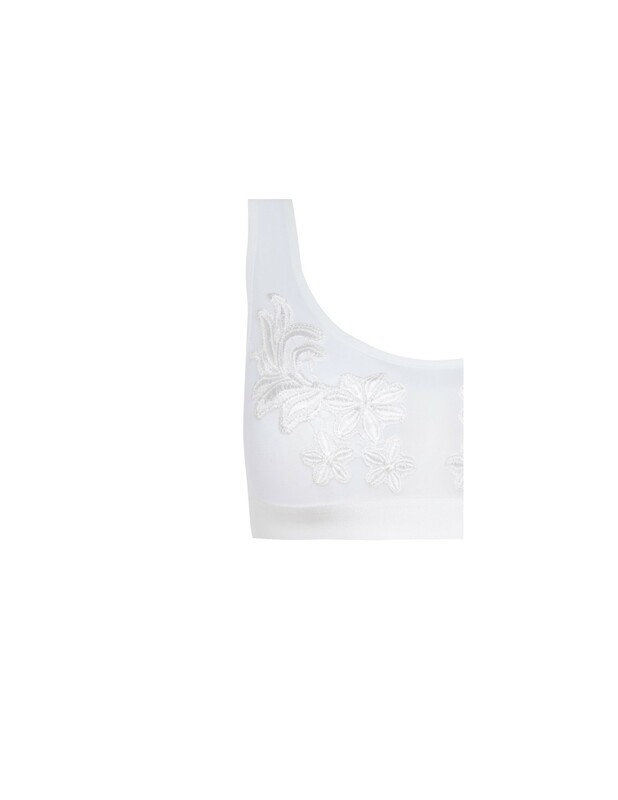 • Sides folded with a delicate and soft elastic details for best fit. Luxury lingerie using Xtra Life Lycra ® from Italy and responsible manufactured in Spain. • Lace flower applications and golden pink metal details. • Triangle bralette in French lace with modern design of shark teeth. • Special fringes details from Italy. Contermporary mono-wire bra with a sporty flair. Front details made with black striped semi-transparent fabric, adjustable straps and matte gold metal details. Balconnette fixed cup, ideal for cups B and C.
• Halter bra with regulable straps made with a fancy designed french lace with a modern shark teeth design. • Special crochet fringes details made in Italy.